A beautiful celebration of life! This Joma Jewellery bracelet is presented on a gift card that reads 'Wear this little bracelet forever to remind us that life's a gift to always treasury'. 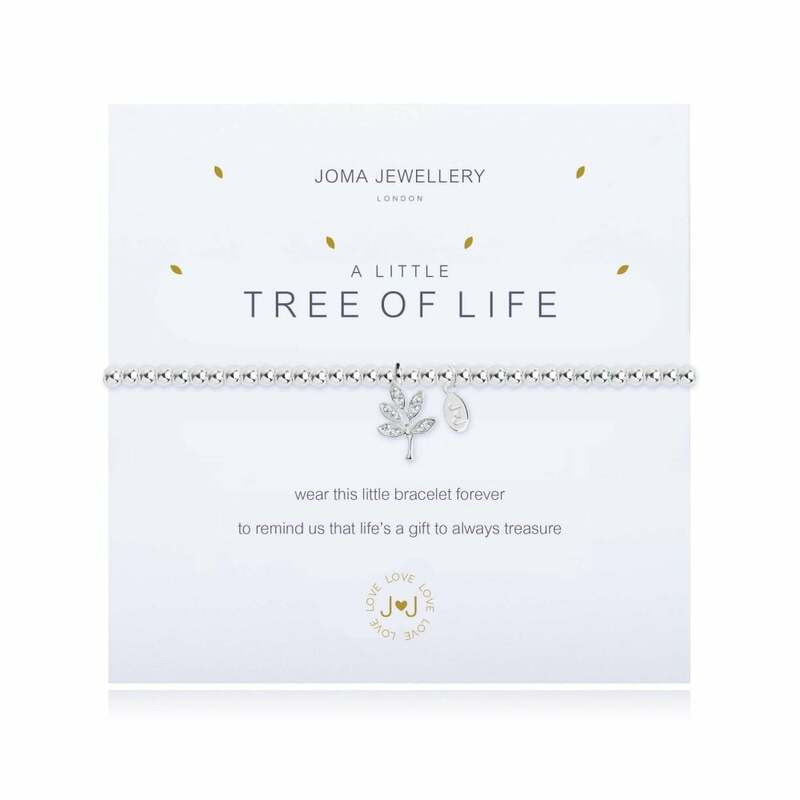 The perfect reminder that life is all around us in the nature of the world, Joma Jewellery's A Little Tree of Life bracelet is unique and sentimental. A beautiful sparkling tree charm hangs from the centre of the classic Joma beads that create this piece, a charm that is sure to remind you of the beauty in our world. Please keep your item dry at all times and away from perfume and body creams in order to preserve any plating and to ensure your piece lives a long and beautiful life.